When you first start on the Atkins program, you may be tempted to take advantage of many of the low carbohydrate products on the market today. There are a wide variety of packaged items that are specifically manufactured to be low-carb. These include low-carb snacks, low-carb baking products and low-carb substitutes (like pasta or bread). While it may be enticing to fill your shopping cart with all of these goodies, it’s best for your diet and for your health to use them sparingly. 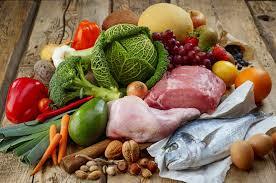 One of the key things to remember about the Atkins diet is its focus on raw, unprocessed foods. The center of diet, as shown by the Atkins diet food pyramid, is fresh vegetables and fresh meats. Added into the mix are natural cheeses, a selection of fruits and, eventually, whole unprocessed grains. There aren’t any packaged meats, canned vegetables or instant anything. There is a reason that the Atkins food pyramid shows these foods in their raw states. There are great health benefits in minimally processed foods. Raw, whole foods retain more vitamins and nutrients than foods that have been through chemical and industrial processing. Manufactured foods are more likely to be tainted with chemical additives that can cause a whole host of problems. Raw, fresh food ingredients provide the best basis for a healthy diet. Many dieters rely on foods that are technically allowed on the plan, but not good for health. One example is bacon. Many people on the Atkins diet consume lots of bacon. In fact, many use it as a daily part of their protein foods. However, bacon contains high amounts of sodium nitrite, an ingredient that is known to cause cancer. The more bacon they eat, the more they expose themselves to this chemical and many others. The Atkins pyramid, and the Atkins diet books, recommends unprocessed, unrefined and non-manufactured foods for a reason. If people follow these recommendations, they will lose weight and experience health transformations. By eating fresh and natural foods you’ll be providing your body with the nutrients that you need to have optimum health. Back to those packaged and processed low-carb foods. Technically, they are part of the low-carb program. They can be used in moderation as substitutes for your favorite carbohydrate heavy foods. In a pinch, low-carb bread and baked goods can help you get over cravings and add variety to your Atkins diet plan. However, one look at the labels of these products shows how chemically processed these items can be. It is recommended that you use these products sparingly. In some individuals, low-carb packaged items cause carbohydrate cravings. This can make staying on the diet even more difficult. If you find that low-carb processed foods make you want to binge on carb-heavy foods, then its best that you stay away from these products. These products may also have hidden carb counts that will increase your daily carbohydrate level without you realizing it. If you are experiencing a stall in your weight loss on the Atkins plan, re-evaluate your commitment to unprocessed and unrefined foods. If you’ve been eating too many low-carb processed foods, you may be consuming hidden carbs and eating more than necessary. Try eliminating these products and refocusing your diet on unprocessed and unrefined foods, like those seen on the Atkins diet pyramid. When you go grocery shopping, spend time along the outer rim of the store where the fresh, unprocessed foods are. This will help you avoid the temptation of packaged foods that can lead your diet astray. You may need to rely on packaged meats, vegetables and fruits from time to time. We lead busy lives and convenience foods are part of life. It’s understandable that you may need to use some canned soup, bacon or canned vegetables in your daily life. However, make an effort to concentrate your dietary efforts on a wide variety of fresh, unprocessed foods. Your health and weight loss efforts will be greatly rewarded. 0 Response to "Atkins and Unprocessed Foods"